The firm’s Personal Injury/Negligence/Professional Liability practice group has extensive experience representing individuals and their families who have suffered serious personal injury or wrongful death in accidents due to negligence, product liability or professional liability including medical and legal malpractice. Often, the firm provides clients additional guidance in protecting and maximizing proceeds of settlements by utilizing structured settlement agreements and Supplemental Needs Trusts. 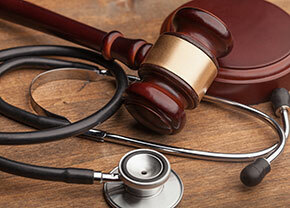 The Personal Injury/Negligence/Professional Liability practice group has also represented numerous insurance carriers and uninsured individuals and corporations in the defense of personal injury, wrongful death, professional liability and property damage claims. Plaintiff's Attorney, Eliot Schuman, of DelBello Donnellan Weingarten Wise & Wiederkehr, LLP, negotiated a $1.75 Million Dollar Settlement within days of the scheduled start of trial.